How this project came about is basically, both Aloe & myself were at some type of crossroad in terms of what we wanted to do as artists, individually. Aloe was taking a break from Emanon in terms of exploring, recording solo projects & working with different artists….Exile was in the process of becoming the producer he is known today by working on his own solo projects as well as crafting an album with a young, talented MC by the name of “Blu”. As for me, I was also trying to expand my horizons as a producer. Everyone knows me mostly for being a DJ/Turntablist from the Beat Junkies & the only production work that I did that people are aware of is with the Visionaries. I wanted to branch out & work with different artists as well to see what else I can do that I can’t normally do with my own group. I was luckily enough to have Aloe open to the idea in working with me. Around this time period, I was solely using the Akai MPC2000 for my main production equipment, & made a few beats on EMU SP1200 Drum Machine Sampler (Listen to the album & guess which machine I used). We recorded 14 songs but had really 11 strong songs. I just remember listening to our project & saying “Wow…Aloe is incredible!”. The plan was to shop the project but it never got a chance to materialized because we both went on to other things: Aloe got signed as solo artist on Stones Throw & I went to work on the 4th Visionaries’ album “We Are The Ones”. On a side note, the song “Find A Way” was made originally for this project, that later became the B-Side single to Aloe’s “I’m Beautiful” off his Stones Throw solo debut album “Shine Through”. I had no idea that Aloe can sing and was really good. When I heard this song, I knew Aloe was destined to do bigger things. And this song also led to Aloe working with my good friend, the incredible DJ Khalil of Self Scientific and future Grammy Award Winning Producer. I played “Find A Way” for Khalil and the first thing he said to me was “Who is this person, I got to work with him”. When he found out who it was, & he was shocked. Many years later, they crafted together the successful hit song “I’m The Man”, which were backdrops for a series of Beats By Dre commercials as well for the 2014 NFL Draft & 2014 MLB All Star Game ads. 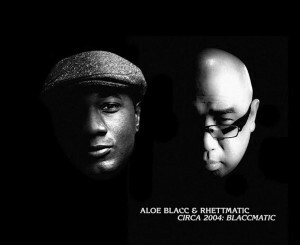 Fast forward to 2016….I had a chance to revisit the album and I totally forgot that Aloe & myself recorded a whole project that was made 13 years ago. I reached out to Aloe to remind him about our project. Even as busy as Aloe is now, he took the time to listen back to the album & said it would be dope if people could here our progression. He suggested that we release this album as a FREE project & gave me the idea concept of the album title & cover artwork. I am very lucky that Aloe gave me his blessing to release this project that you are about to listen now. We hope you enjoy this time capsule & this little nostalgia from our musical past. And the saying goes…the rest is history. To everyone that’s taking the time to listen to this piece of history, as well as those who’ve been supporting me & musical endeavors from the get go, thank you very much. To my man wiz1der for helping me with the mixdowns. To my man FWMJ of RappersIKnow for the artwork. And to my brother Aloe….thank you for always being a friend & a musical comrade. Everything you’ve worked hard for, you deserved! Rest In Peace: Nestor Nirza, Jordan Cofinco, J Dilla, Roc Raida, James Brown, Dj Dusk, Rob One, Sean Price, Pumpkinhead, Michael Jackson, David Bowie, Maurice White, Phife Dawg, Billy Paul, Prince, & Afeni Shakur.